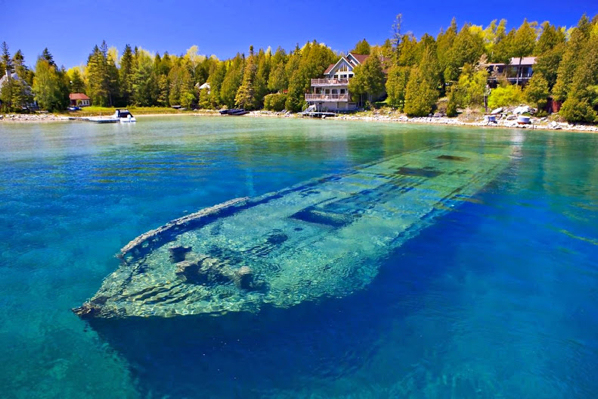 There are currently hundreds of shipwrecks at the bottom of Lake Michigan that anyone is free to explore and possibly discover. Treasure hunters from around the world continue to scour the lake for the remains of the infamous Westmoreland Treasure Ship. Unlike harsh salt water environments, Lake Michigan’s fresh water is perfect for preserving history. Spring’s cool water temperatures help keep visibility high, perfect for diver Rick Richter and his passion for nautical history. One of the most interesting shipwrecks is the Appomattox. The ship went down during a fateful storm in 1905 and is still visible just below the waterline just off Atwater Beach, close to the town of Shorewood. You can find out more about where all the shipwrecks of Lake Michigan are and which ones are still lost here.